The British Racing Drivers’ Club, as ‘guardians of ‘British motor sport’, have been fostering young driver talent for many years through its young driver schemes. The BRDC Rising Stars scheme is open for a maximum of 40 British and Commonwealth drivers aged between 15 and 24 who are scouted from the trackside. The BRDC and its Patrons of the Rising Stars scheme are proud of their contribution to the continued prosperity of British motor sport and the Club is delighted to welcome Immun’Age as a new Rising Stars Patron, from the Land of the Rising Sun. 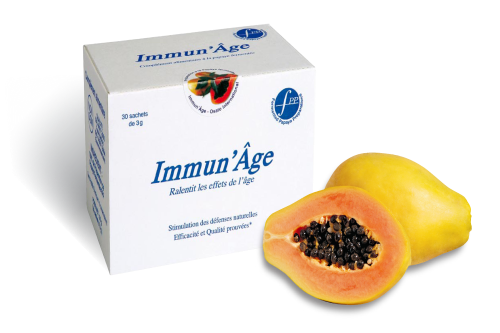 Immun'Âge is a food supplement prepared with their unique Fermented Papaya Preparation (FPP) developed by the Osato Research Institute in Japan. It is made from papaya fruit which is known to promote health and longevity with Japanese fermentation technique. They have been an official partner of Aston Martin Racing and supported drivers’ health conditions with Immun'Âge since 2005. This new partnership with the BRDC enhances Immun'Âge’s links to motor sport, and with the physical and mental stresses faced by racing drivers being widely appreciated, Immun'Âge Chairman and CEO Yuki Hayashi explains why their product should be an essential item in any driver’s kit bag. Please visit en.ori-japan.com for scientific information, and en.fpp-japan.com for general information.